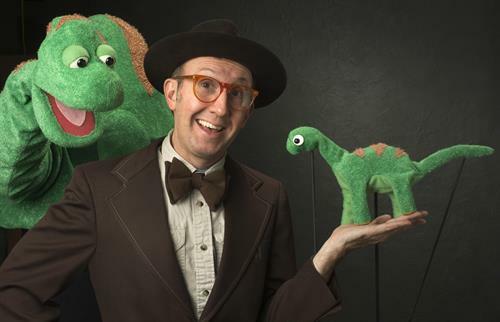 Make no bones about it - The Dinosaur Show is sure to tickle your funny bone and stimulate your imagination. Join paleontologist Dr. Dino Sawyer in exploring scientific theories (as well as some improbable ones) that explain what was and what might have been in the Age of the Dinosaurs. Mesner Puppet Theater digs into the past using hand, rod, shadow and body puppets to bring this prehistoric tale to life.